As previously reported, country star Jason Aldean is charging his way to a big debut on the Billboard 200 albums chart next week. Industry sources suggest the singer's Night Train is on course to shift around 400,000 (if not more) copies by the end of the tracking week on Sunday, Oct. 21. It will likely secure Aldean the second-largest debut of the year and his first No. 1 album. The new Billboard 200 chart's top 10 will be revealed on the morning of Wednesday, Oct. 24. R&B diva Brandy is on the comeback trail as her new Two Eleven is set for a top five start with perhaps 60,000 or so. Brandy's last studio release, 2008's Human, started at No. 15 with 73,000 sold. She was last in the top 10 with 2004's Afrodisiac, which debuted and peaked at No. 3 on the July 17, 2004 chart. 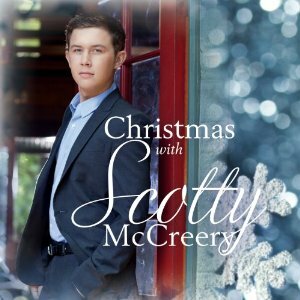 2011 "American Idol" winner Scott McCreery should also make a top five entry with his first holiday effort, Christmas With Scott McCreery. It's aiming to bow with around 35,000. It'll mark the first new top 10 Christmas album of 2012. Another album that's on track for a possible top 10 start is Jamey Johnson's Living for a Song: A Tribute to Hank Cochrane. The album, saluting the famed country songwriter of such hits as "I Fall to Pieces," could sell around 25,000. On Nielsen SoundScan's Building chart (below), Aldean's Train ranks at No. 1, followed by Brandy's Two (No. 2), Mumford & Sons' current No. 1, Babel (No. 3), McCreery's Christmas (No. 4) and Jamey Johnson's Living (No. 5). As for the rest of the Building chart's top 10, P!nk's former topper The Truth About Love places at No. 6, followed by Anberlin's new Vital (No. 7), Miguel's Kaleidoscope Dream (No. 8), Macklemore and Ryan Lewis' The Heist (No. 9) and Little Big Town's Tornado (No. 10). 1 NEW Jason Aldean "Night Train"
2 NEW Brandy "Two Eleven"
3 1 Mumford & Sons "Babel"
4 NEW Scotty McCreery "Christmas With Scott McCreery"
5 NEW Jamey Johnson "Living for a Song: A Tribute to Hank Cochrane"
6 8 P!nk "The Truth About Love"
8 11 Miguel "Kaleidoscope Dream"
9 2 Macklemore & Ryan Lewis "The Heist"
10 14 Little Big Town "Tornado"
Just wanted to bring over some information that was posted on Idol Forum around 6:30 this morning. Big thank you to dusty125 for keeping track of the numbers for all of Scotty's fans. #5 Best sellers ZIN PACK NEW!!! #2 Zin Pack new releases COUNTRY! What's Your Favorite Song on Christmas With Scotty McCreery? So great to see Scotty projected to be in the top 5 and for a CHRISTMAS album to boot! NEXT WEEK'S TOP 15: Jason Aldean will give RED the top two albums of the week, the top two debuts of the year and fourth week at #1 behind three weeks for Mumford & Sons. A different Red will take over next week, however, as Taylor Swift's new album is expected to push 1m in first-week sales. Oh, and Sony could see as many as six titles in the Top 10. Here's how it looks headed into the weekend. I really enjoyed listening to Christmas with Scotty McCreery . This album reminded me of a throwback classic country Christmas. The CD features many Christmas classics and Scotty’s voice makes these songs so perfect! As I was listening, I was transported back into time, visioning those classic Christmastime stories of shopping along the streets and family get-togethers. I pictured the Christmas decorations in the stores and snow outside. I was happy to see Mary did you Know? on this album. That song has been one of my favorite Christmas songs for a while and I was excited that Scotty recorded it. I also enjoyed Scotty’s “Elvis styled” Santa Claus is Back in Town. It is hard for me to name my favorite songs because I enjoyed so many of them! I think Christmas in Heaven is going to be a favorite for many people off this album because of the message the song holds. Like I said, this album is really well done and I love what Scotty’s voice brings to the album. I am looking forward to listening to this CD through the Christmas season! In 2011, Scotty McCreery was crowned the 10th winner of the iconic singing competition, American Idol. Following the apparently established "White Guy With Guitar" trend that the fandom has come to name the five consequent male winners of the show, David Cook (2008), Kris Allen (2009), Lee Dewyze (2010) and most recently, Phillip Phillips (2012), most people were skeptical of the seventeen year old's success. But the young North Carolina native went on to prove all naysayers wrong. His debut single "I Love You This Big" charted high on the Hot 100 (#11), and his debut album, "Clear as Day" was a hit, selling more than a million copies and being certified Platinum. American Idol seemed to have found another legitimate star after years. This week, McCreery releases his second studio album and first holiday album, Christmas With Scotty McCreery. Earlier this year, when I heard that Scotty would be releasing a Christmas album as his second effort, I'll be honest, I was skeptical. Why on earth would you want to release a Christmas album for your second release? Doesn't that just smell of desperation? Sure, it's easy: get a star to sing popular songs and sell another million albums. On listening to this album, though, every doubt in my mind was done away with. Using every bit of his Idol-winning talent, Scotty shines on this collection, which turns out to be honest, sincere and a commendable effort. As always, I will review each individual song and give my overall thoughts at the end. 1. Let It Snow: I love this song and it was a great way to ease us into the album. A fun, delightful version of a song we all know and love. 2. The First Noel: What a sincere, heartfelt rendition! I really felt the emotion seeping through. One of my all-time favorite songs, and Scotty just made it even better! I'm never going to forget this version. 3. Jingle Bells: Way to turn up the fun! If you're expecting the traditional version, prepare yourself to be blown away! Another fun, carefree version of the classic song. 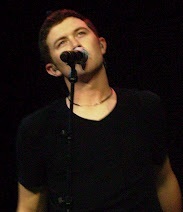 I could almost see Scotty holding his mic to the side and singing the way he does! 4. Holly Jolly Christmas: Again! Awesome! The "Oh, oh, the mistletoe" part is my favorite. Scotty sounds so effortless, so comfortable, it's hard to imagine he's only nineteen! 5. Winter Wonderland: Scotty makes sure he has fun, first and foremost. and that shows here. Nothing pretentious or forced, just natural, cheery singing. Again, Scotty's comfort level is amazing. 6. Christmas In Heaven: Can I just say, best song on the album? I was just speechless after listening to this. A beautiful, amazing song with heart. Scotty's talent is beyond his years. This is a gift. Even if you don't buy the entire album, please do buy this song, as it is the shining moment of the album. 7. Mary Did You Know: A song I have not heard that many times to be familiar with. But it is a great song and Scotty just makes it his own and delivers. I love when he touches his higher register. 8. Christmas Comin' Round Again: It sure is! Another original song, and it's very good. Really makes you remember the true meaning of the season. Can I get a Halleluiah? 9. O Holy Night: Another one of my favorites on this album. And one of my all-time favorite songs too. We have heard this song over and over, done by so many artists. I still think the best version of this song was by Mariah Carey, but Scotty's version is amazing too. I love how it's sincere, honest and straighforward. No melisma, no rifts, no vocal gimmickry. Just Scotty, his voice and this legendary song. Wait for the final "Night divine." I can listen to it many times over. Too good. 10. The Christmas Song: Yes. Everyone's favorite. I loved the tone in Scotty's voice. So clear. Made me want to pull out our Christmas decorations in October! 11. Santa Claus Is Back in Town: ELVIS! Big shoes to fill there. We all know that channeling Elvis is near impossible. But you know what!? Scotty kills this song and I don't mean the bad way! Just...wow. It's like he's back on American Idol. Pure talent. The bad points? A bit too many covers. I wish there were some more originals on this album. Also, not a single guest artist! Of course, minor problems because as a whole the album is really good. It takes a certain amount of emotion, charisma and conviction to carry off a Christmas album. After all, these aren't ordinary songs. On every front, Scotty McCreery delivers. His smooth baritone is the bloodline, full and complete with richness and velvety texture. The level of maturity he shows is incredible. This is the kind of album that grips you, you just want to keep listening to it. I've already listened to the entire album twice and it's only October! This album is a perfect addition to your country Christmas collection and perfect to listen to on cold winter evenings.If you love country, get this. If you like Christmas music, then also get this. The Best Christmas album of the year. So far! Scotty McCreery won American Idol for a reason. And he shows every level of his talent on here. A unique voice that has a brilliant future ahead. You can't help but think, American Idol has created yet another star. These are great floor seats and the only ones left at this price!!! Just wanted to post and let everyone know that Vince Gill won the Main Stream Country Artist Award. Even though Scotty did not win, it is still a great thing for him to have been nominated. Scotty McCreery ‏@ScottyMcCreery Catch me this morning in LA on FOX news and later on GoodDayLA!